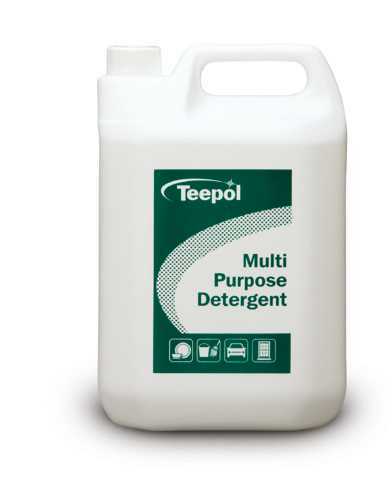 The Teepol range of Manual Liquid Detergents offers the finest blend of active materials for all general cleaning & manual dishwashing purposes and is widely acknowledged by Institutional, Catering, Janitorial and Industrial users as the most cost effective, highest quality cleaning products. 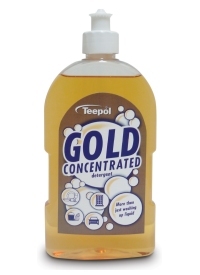 Teepol Gold is a lemon perfumed, super concentrated golden liquid that quickly cuts through fats and grease. Leaves glassware, cutlery, utensils and crockery gleaming. 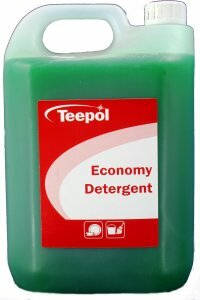 Teepol Multipurpose is a pleasantly perfumed, green-coloured detergent designed for a multitude of uses. Safe on most surfaces and ideal for removing food, oils, dirt and grease. 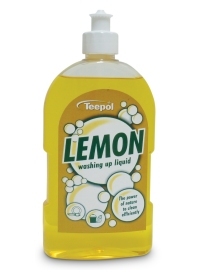 Teepol Lemon Washing Up Liquid is a citrus perfumed, multipurpose washing detergent that is kind to hands as well cleaning and degreasing efficiently. It cuts through grease and oil, leaving your dishes sparkling and clean. Teepol Washing-up Liquid is an unperfumed washing-up liquid that is kind to your hands as well as cleaning and degreasing efficiently. It cuts through grease and oil, leaving your dishes sparkling and clean. Our Teepol Anti-bacterial Detergents are effective commercial sanitizing detergents that reduce the possibility of food spoilage and tainting by bacteria, making them ideal for use in food processing, preparation and storage areas. A 15% active detergent for laboratory use. We also produce other formulations such as 12-15 and 12-20, specially blended for use in the catering industry and others with a preference for unperfumed products. 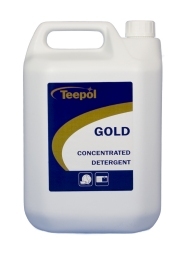 Teepol Economy is a competitively priced detergent for all general cleaning and dishwashing and is particularly suited to those situations where usage rates cannot be effectively monitored.